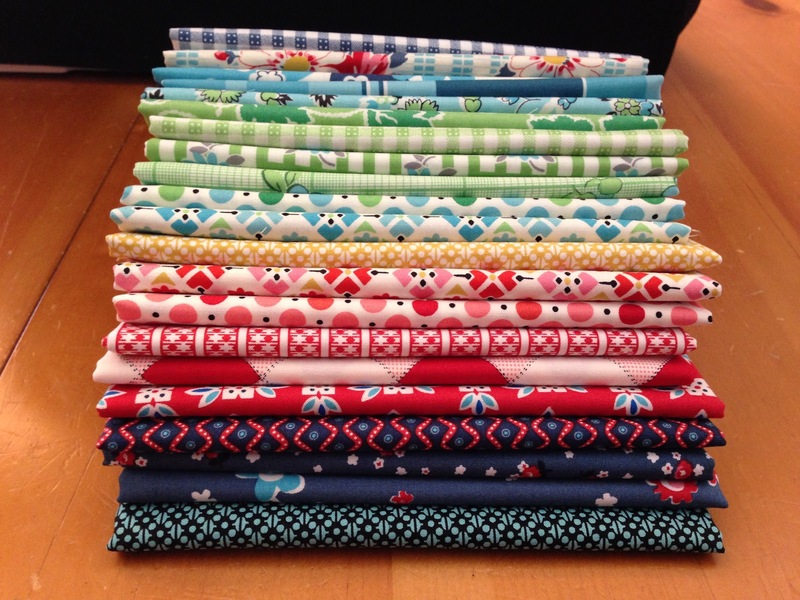 Sunny in CAL: Sew Mama Sew Giveaway!! 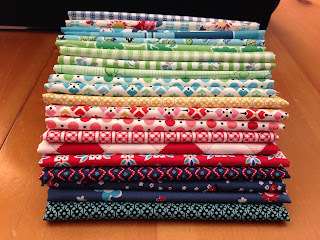 Did you ever get any of Denyse Schmidt's Picnic & Fairgrounds fabric? I did! I even made a big quilt with it. I loved this line when it first came out and I still do. Since I'm done making my quilt, I decided that I'd love to giveaway a Fat Eighth set to one of my peeps! 1. Leave a comment.... what will you be making with this set? That's it! Easy Peasy! This is giveaway is open to international peeps too. This giveaway closes Friday, December 7th. Winner will be announced Sunday, Dec. 9th. Good Luck! PS. Head over to Sew Mama Sew for more great giveaways! I would probably use it to make a bunch of baby quilts. Probably will put some in a quilt..but fabric that nice is usually kept in my stash! Thanks! And I'll follow! I am thinking some fun summer table runners, napkins, hotpads...such bright and fun fabrics. Thanks! def. would put these into a quilt. If I had these in my hot little hands, I'd make the Turnovers quilt from Melissa at Happy Quilting. Love this fabric! Would definitely use these in a quilt, I'm thinking of starting a chevron patterned one for my baby niece. I would love to make some new skirts for my daughters, and these colors would be perfect! I would love to make a quilt for the twin sized bed in my home. It would be perfect! Whilst I like to think I'd make a quilt, they'd most likely get used making a variety of plushies for my two (soon to be three) darling neices! I think a picnic quit! I'll be quilting pieces together for purse pockets and e-reader covers, possibly even part of a quilt. By the way, I love the colorful border on your blog. It's a beautiful design. Thanks for the great giveaway! So pretty, never did buy any of those fabrics. Would love to use them in a quilt! I already have a few of these fabrics that I would like to add this bundle to and create a quilt. I just found your blog today and am now following. Looking forward to seeing your future projects! I have a small stack of these hidden away because I finally want to make a quilt that I will keep just for me. But I sure could use more of this line. Your quilt looks great! Thanks! I can use it for my baby girl, little dress with two of them, little top, oh! amazing. i would mkae some pillows! I love this line, but I think I would just use these prints in an assortment of projects rather than just one Picnic and Fairgrounds project -- they'll last longer that way:) Thanks so much for the giveaway! I'd use it in my in progress postage stamp quilt. These fabrics scream ..."placemats" to me! since it is an entire set of fat eighths it seems a quilt is the likely project! A pretty placemat XD i love this collection! O wow - so pretty! I would make a quilt with this for sure! What kind of quilt tho... maybe a bento box quilt? Or a basic patchwork to show offthe lovely prints? Hard to tell but I would love to win - thanks for the chance!! Im a follower of your wonderful blog! I would have to use those pretties in a quilt - your quilt using these is so inspiring! Seeing/loving it is acutally what brought be to your blog! I especially love how you quilted the negative space. The fabric is just so right for a picnic blanket! Thank you - it is beautiful! Lovely! I'd make baby quilts, or I lost the idea of some other commenters to make a picnic blanket. Thanks for the chance! I think a scrappy weekender bag would be really cute out of these fabrics! Picnic / beach blanket....maybe some pillow cases....some hexies too. Oh, that's a toughie! Lap quilt, pillows, picnic quilt-- all would be fabulous with this bundle of brights and blues. Thank you and enjoy the hop! I think I would make a fun quilt or a bag for myself. hmm, maybe some zip pouches, bags, or maybe even a lap quilt! I think Id make a throw size quilt with this fabric. Its lovely! I think I would use it on baby quilts, beautiful fabric and awesome colours. Thanks for this giveaway! I would make a patchwork quilt out of all of DS quilts fabrics and I would love to add these. I am collecting D Schmidt fabric for a jacob's ladder quilt!!!! I'd love to make a quilt out of these. Love it, maybe some blocks for a quilt... adding some other fabric hmm to much to think about. Thanks for the chance to win! I'd add it in with my other DS fabrics as I'm planning an all DS quilt. Look forward to reading more about your projects, just became a new follower. I will make a nice log cabin quilt. I'd love to sew someting for my kids ! Maybe a skirt ?? I adore anything Denyse Schmidt and it's so hard to get hold of in the UK. I'd make some lovely new pillowshams for my living room. This would make a beautiful picnic blanket, but I could only use it on pritine, well-manicured lawns - ha ha!! Thanks for the chance to win - I love Denyse Schmidt. I think I would make a pillow with these fabrics. They're such bright and cheerful colors. Thanks for the giveaway! I'm not sure, but I love the fabrics, so I don't think I'd have a hard time coming up with something. Thanks so much for the giveaway! I think I would make a table runner. Thanks for the chance! I'd make a new bag, and some little zippered bags to go inside it. A quilt! Which pattern, hard to say... These fabrics would look great with some white in a Bento Box! I now follow you by email - looking forward to reading your blog! wow i m new to all this . thanks for the give away. Not seen this fabric in person yet so interested on what the fuss was all about. I would make a HST quilt. Love the quilt you made!! I'd love to make something similar, thought it was beautiful! Thanks for a great giveaway!!! I always think I know what I might do with a group of fabric and only sometimes does it turn out that way. So, um, something quilty and pretty. ? Thanks for sharing these great fabrics! Thank you for this great give away. I will definitely use for my new wall hanging project. I would love to make some great house-into-home goodies. Our walls are still pretty bare, so maybe a mini art-quilt? Id say I would make a quilt. Love the bright colours. I think this will be a perfect first quilt project. Pretty color combination! A new follower. Thanks for the giveaway! I am in love with denise schmidt fabrics..I would definitely make this into a quilt. I haven't seen these yet. I think I'd make a couple of pillows and maybe some reusable napkins. a quilt. i have some of the coordinationg fabrics. oh-- I think I'd make a doll quilt! Oh wowza, what a wonderful giveaway! This is one of my favourites, and I wasnt able to get a scrap of it either. I'm afraid this would have to (selfishly) be a cozy lap quilt just for me!! I think they would be great for some quilted bags or sewing machine cover. I think I'll make some kind of a quilt, maybe a bag though too! I'd love to make a quilt with these. I have a few pieces but that is all. Thanks for participating in the giveaway day. I would use this for a quilt that I haven't started yet....lol. make??? oh no, those would definitely be hoarded! Thanks for the giveaway! What a great big bundle - I'd love to make a quilt of course and the pattern would be one of the many on my long list of to do/must do. I love your blog bg. Let's see I'm not sure what I'd make. I love fat 8ths, the perfect size for me! I might make a few buttons! They'd be the prettiest buttons! And maybe a cool chevron design on a pillow. Or maybe a rug mug. I already do follow you - thanks! ohhhhh I'd love making a quilt... and I'd also love a pocket here, a handbag there... just putting color everywhere! if i win it i will make as big of a quilt as i can with it ! It will definitely be a quilt! Loved the wonky one you made. I'd make a happy happy quilt. I did not discover Denyse Schmidt until Chicopee, but I love her! Beautiful! I have a few prints of this, but not nearly this many. Thanks for the chance to win! I would make a quilt or wall hanging. A new quilt for my grandaughter! I'm in the process of collecting various fabrics for a quilt for my youngest. These would be a perfect addition. Great giveaway! I'd make some sort of quilt. a picnic set -- a little blanket, lined picnic basket, maybe some trim on a set of napkins, that kind of thing. ahhh, I love summer. Oh, these would go into a wall quilt, for sure. I'll probably make a quilt for my great niece - she'd love the colors. Thanks for the chance to win. I would make a quilt or bags. I love making bags. I have a hard time imagining myself cutting into it, but I'd probably end up making some beautiful pillowcases. I would make some pillows for our new house! A quilt for my bed. What a great giveaway! What a great giveaway! I think I would make a lap quilt. Thank you! I think a quilt would be great with these fabrics. Especially now that it is finally starting to get cool in So Cal! I'd love to use this in a quilt! I would probably use them for a quilt or maybe a scrappy type purse. OH my--this would make my year! I just got back into sewing over the last year. I saw this collection in Joann's--but it was before I had been online to blogs and such. So I thought--don't buy fabric at Js. You don't know how many times I looked at this collection--and let it go. Then, I come online and find out this line is OKAY!!!!! Now I have been trying desperately to find any of it anywhere. I have gotten a charm here or there in swaps--but oh, to have a little bit of each! 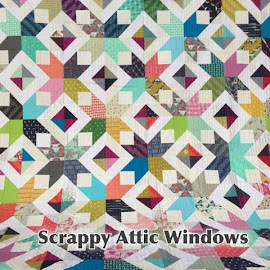 I would love to have them for a scrappy quilt. I just love the quilts I have seen with people using little bits of all DS fabrics. Is your quilt on the blog? I will have to go check it out! OH MY WHAT A NICE GIVEAWAY! THANK YOU SO FOR A WINNING CHANCE! I'D MAKE A BED QUILT FOR SURE+PROBABLY SOME PLACEMATS! THANK YOU FOR SHARING! Thank you for the nice giveaway!I would make a table runner. looks like it would make a wonderful quilt...geometric in design. I'm a believer... errr I mean follower! And I would love to make a quilt using my newfound obsession- English paper pieced hexies! Thanks to an awesome friend patiently teaching me at the lamqg retreat!!!! Thanks for the giveaway! it's gotta be a quilt! I think a wonky log cabin would be nice. Thanks for the giveaway!! I would make a lap quilt to give as a gift. I could make some gift recipient very happy! I'd make a quilt for our third child due at the end of April. I'd really like to try making a patchwork bag, ideally brightly coloured and fun patterned. Ooh, cute! I'd probably turn them I to some type of bag. I have an EPP project in mind. 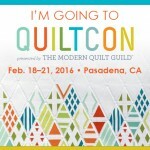 I'd make a quilt to donate for a silent auction coming up at my daughter's school. I've got two pregnant friends - I would make a baby quilt with it. I would make a new summer quilt! Thank you for the giveaway! Subscriber in my reader, Thanks!! I would probably make a quilt with a matching pillow. I would add it to the massive DS quilt I have already started. I am already following you - found you from flickr. I'll be making a very happy mess of the lounge room! But in all seriousness, I would probably make myself a very snazzy patchwork curtain for my study. I would probably make a quilt for my sister. I think I'd make a baby quilt. So cute! Wow - what an awesome giveaway! For a die-hard DS fan, that bundle is a little exciting. I would have to make myself something, maybe a lap quilt for the lounge because unlike you, I wouldn't be generous enough give these away! Gosh I don't know but these are lovely fabrics for just about anything. Thank you for the chance. A picnic quilt. Perfect line for it. Thanks! I would love to make a large, paper pieced pillow! Thanks for the chance at a great giveaway! Oh fun! I love these fabrics. I'd make a quilt for my mom. Thanks for the chance! I became a new follower! I'm always looking for fun blogs to read when I have a moment. Oh wow, I love those fabrics! I would play with them to see how they look with my other stash fabrics, and they would surely end up in a quilt I loved! I would love to try my hand at a small quilt for my daughter or some pouches for friend's birthdays.